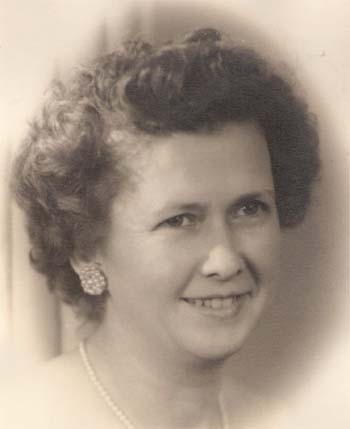 Birth*: Delphine Louise Ellis was born on 23 August 1912 at Durham, Durham Co., NC. She was the daughter of Charles Wellons Ellis and Mamie Southbell Scoggins. Marriage*: Delphine Louise Ellis married Hubert Charlie Goodwin on 5 October 1930 at Durham, Durham Co., NC. Divorce*: Delphine Louise Ellis and Hubert Charlie Goodwin were divorced in 1939 at NC. Death*: Delphine Louise Ellis died on 5 April 1989 at Durham, Durham Co., NC, at age 76 . Marriage*: She married Hubert Charlie Goodwin on 5 October 1930 at Durham, Durham Co., NC. [S998] The Durham Moring Herald, 6 Apr 1989. Birth*: Eliza Ellis was born on 26 May 1803 at NC. Marriage*: She married John Carter Everett on 22 February 1824 at Bulloch Co., GA.
Death*: Eliza Ellis died on 24 July 1851 at Bulloch Co., GA, at age 48 . Birth*: Ellis Ellis was born circa 1703. Death*: Ellis Ellis died on 6 September 1730 at Middlesex Co., VA. Birth*: Sarah Ellis was born on 2 June 1796 at NC. Death*: Helen M. Eshelman died on 6 August 1900 at Greenfield, Hancock Co., IN, at age 1 . Death*: Hiram Eshelman died on 7 February 1931 at Anderson, Madison Co., IN, at age 65 . Birth*: Allan T. Estes was born on 27 April 1844 at AL. Marriage*: He married Phebe Fortner, daughter of Samuel Fortner and Mary Allred, on 29 October 1863 at Blount Co., AL. Death*: Allan T. Estes died on 6 February 1865 at Camp Chase, OH, at age 20 . Death*: Mary Ann Eury died on 8 May 1951 at Warren Co., NC. Birth*: She was born on 8 May 1951 at Franklin Co., NC. She was the daughter of Ray Whitney Eury and Shirley Ann May. Marriage*: He married Shirley Ann May, daughter of Roy May and Beulah Faulkner, circa 1950.